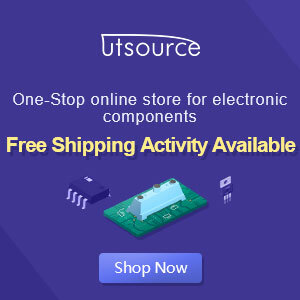 Many people use this type of amplifier because there are many advantages in comparison with amplifiers using IC (Integrated Circuit). But in fact almost the same sound quality, and even the risk of damage greater use OCL amplifier. In the process of assembling an amplifier of this type is very delicate high level if we're wrong little would be fatal for the other components, especially on the power. Other disadvantages of this type of amplifier should use sufficient cooling, especially the cooling material should really be able to absorb the heat generated from the transistor and would be better if given additional cooling as the fan mini. To maximize the cooling process should be toward the cooling breezes of the transistor directly so that the transistor is not easily damaged. Excess amplifier types OCL is the outcome harder to make chest tightness. but it would be even better result if it is supported by means of manufacturing / assembly speaker box. Besides being supported by a great resonance box, it would be great if supported by quality in good subwoofer. If you want to get the sound to your taste spull speakers you can replace yourself with your own assemblies, but the way the installation is also to be really precise. 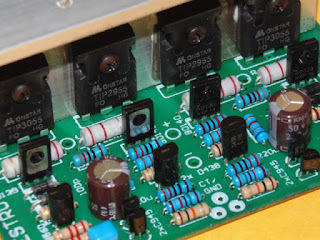 For those of you who are beginners should have to be careful in the process of assembling amplifier types OCL is because in addition to using three (3) flow, but sometimes tone control using two (2) current that can outwit us at the time of assembly, the more so if you use a transformer double. Another advantage of OCL amplifier manifold greater output and maximum compared to the others. Tips for those who are beginners: make sure the flow is properly installed, meticulous in seeing the symbol, not until there is a tool that attaches to cause surge currents, although in seconds the result is fatal and you have to buy a new component, do occasionally using components that have been used because of problems will arise little by little from components that have been used since to check the surge transistor that has been very difficult, it looks still good but because it has the characteristics it will quickly be easily damaged and could result in all the components were damaged.